The plot of land on which 22 Cecil Street Upper stands was first leased by Pryce Peacock in 1809. The house, unlike many others on the street, was a smaller late Georgian house, which was most likely built in the 1830s. It contained eight inhabitable rooms, and in 1911 had two outhouses, or turf houses, and an external drop for coal. The house that stood at 22 Upper Cecil Street in the Shannon Ward held many families, many tales and doubtless many secrets. One of the first occupiers of the house was Robert Ringrose Gelston in 1840. In 1838, at age 23, Robert came to Limerick to set up a practice as a surgeon after studying in Glasgow. He soon integrated himself into Limerick society; so much so that he was elected joint High Sherriff of Limerick in 1841 and in 1842 served the position alone. In April 1845 he served in the Workhouse hospital voluntarily as the minutes show that “Robert R. Gelstan Esq. be and is hereby elected Assistant Surgeon to this institution to act without salary.” Later that same year he married a Miss Philips of Guile, Tipperary. He is mentioned in Church of Ireland Financial Report of the Diocesan Council of the Diocese of Limerick for the year ending 31st December 1882. He married Miss Elizabeth Philips of Guile, Tipperary, and they had at least two children who were baptised in St. Michael’s C. of I. He moved to 68 George Street before 1859 and would spend the rest of his life there. In 1893 his eye sight began to fail and he retired from professional life. He passed away on the 11th of February 1908 in 68 George Street aged 93 and was buried in St. Munchins Graveyard. Henry Norwell occupied the house in 1850. The landlord at the time was Edward Cruise (owner of the Cruise Hotel). 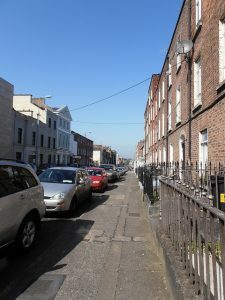 Henry’s wife, Mrs. Norwell, death was recorded in the Limerick Chronicle on the 12 of January 1853, and they still lived at 22 Upper Cecil Street. She was 47 years old. Henry died in Belfast in late December 1854. The next notable tenant was Jonathan Elmes in 1856. He was also a Physician/Surgeon. Jonathan was born in Kilbrogan Parish in Bandon, Co. Cork in 1809 to Thomas Elmes and Mary. On the 8th of July 1845 he married a Miss Diana Sachville Dunlevie and they had at least one child. On the 17th of October 1860 he was one of 32 doctors who signed a petition to encourage the corporation to provide public baths in the city, to aid with the health and hygiene of Limerick’s citizens. In 1862 he donated £1 to the foundation of the Limerick Athenaeum, a theatre that would be built across the street from 22 Upper Cecil Street. 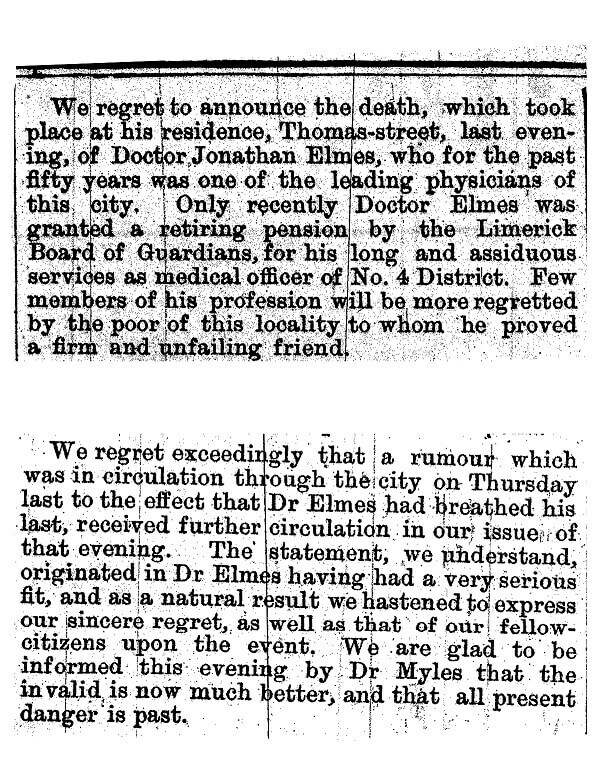 On the 16th of July 1885 there was a report in the Limerick Chronicle that Jonathan Elmes had died, but in the next issue of the paper it was revealed that this was an error, although he had suffered a major illness. He later moved to 34 George Street. He passed away on 16 November 1893 in Thomas Street, Limerick. In 1877 there were a number of occupants including David L Meany, occupation unknown. David only remained in the building for a short period while the other tenants, John & Patrick Fitzgerald, who both worked as Clerks, remained there from 1877 to 1880. 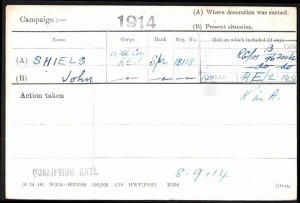 The final tenant for 1877 was John Joyce, who was employed as a pilot. He remained in the building until at least 1886. In April 1900, sixty year old Bridget Meagher lived and died in the house, she was buried in Mount Saint Lawrence Cemetery on the 12th of that month. In 1901 the house was occupied by James Burke a 66 year old widowed flour miller, along his servant Jane Browne and her sister Mary Ellen Browne, who worked as a house maid but was visiting her sister the night of the census that year. All three of the occupants were Roman Catholic and could read and write. The Browne sisters were both born in different counties. Jane was born on the 13th of November 1877 in Limerick and Mary Ellen was born 27 February 1880 in Galway. Their father, William Browne, was a member of the RIC and was posted to Galway, while their mother, Bridget, was a native of Castleconnell in Limerick. William retired on the 15th of August 1887 to Annacotty in Limerick and he passed away in 1900. After this his widow and their children moved into the city centre. Jane Browne went on to marry Charles Moore, whose father was also in the RIC on the 28th of September 1901 in St. John’s Cathedral. Mary Ellen went on to marry Gerald Flynn. After 1907 the house was occupied by a Margaret Shiels and her family. In 1901 Margaret and her husband John were living at 11 Ellen Street, where Margaret worked as a shop keeper while John was a plumber. 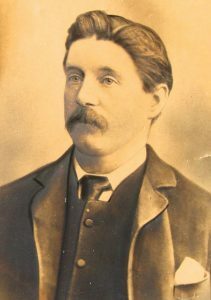 John Shiels passed away on the 20 November 1906, after a two year battle with tuberculosis. After which Margaret and at least 7 of her children, as well as her sister who was living with them from at least 1901 until after 1911, moved to 22 Upper Cecil Street. 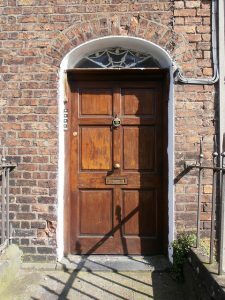 In 1911 Margaret was named as a 43 year old Roman Catholic widow living with her 7 children, and her sister at 22 Upper Cecil Street. The children that were living with her were were Christina, 23 and Mary, 18, who worked as a tailors, also Peter, 17, who followed in his father’s footsteps as a plumber. Bridget, 16, who followed her mother and was a shop assistant, Ellen, 14, Gerard, 10 and Josephine, 6, all who were attending school. In 1911 Christina Shiels married Ambrose Shea. 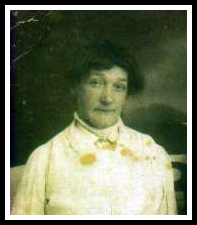 Margaret’s sister, Bridget Moloney, a spinster was living with the Shiels family since at least 1901, where she was recorded mistakenly as John Shiels aunt. Bridget passed away in December 1912 while living in the house, she was buried in the Shiels family plot in Mount Saint Lawrence Cemetery on the 9th of that month. Margaret Shiels, her son Peter, and daughter Ellen also known as Lena were recorded as living in 22 Upper Cecil Street in 1914, that same year her 12 year old son Gerard passed away and was buried in Mount Saint Lawrence Cemetery. 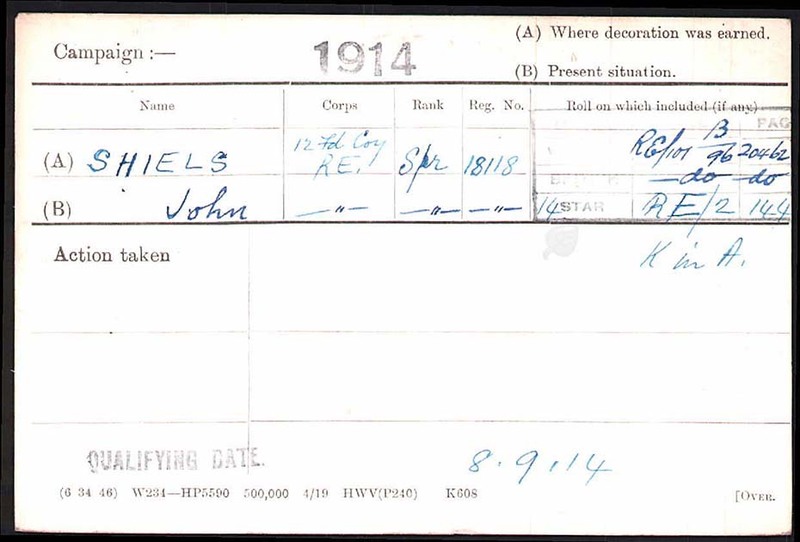 The following year another of her sons, John Shiels “Sapper” in the Royal Engineers, 12th Field Company was killed in action during the First World War on the 9th of August 1915 and although his body was never recovered, he is memorialised on the Ypres (Menin Gate) Memorial, Belgium. Her sister Lena Shiels passed away in 1976 in Skibbereen, Co. Cork. In 1911 there were three boarders also living in the house, presumably to help Margaret with the financial costs of supporting eight family members. These boarders were Daniel McAuliffe, a 57 year old a single Catholic man living on independent means, Michael McNamara a 34 year old married stationary engine driver from Limerick and David Shiels a 57 year old widowed Presbyterian tin smith from Scotland. It is unknown if David Shiels was related to Margaret’s husband John Shiels who was born in Dublin. Margaret Shiels was recorded as living in the house in 1923 and in 1929 she would pass away there at the age of 60, she was buried in Mount Saint Lawrence Cemetery on the 9th April of that year. Between 1915 and at least 1920 a Mrs. Daly ran the house as a series of apartments. In 1916 one of her tenants was John O’Connell, he was one of 273 prisoners who were removed from Richmond Barracks on May 12th 1916 and lodged in Wakefield Detention Barracks on the 13th May for his part in the 1916 rising. In 1923, the Shiels family was joined by Joseph, Mary Kevin and Michael Mulqueen. Then later in 1931, Jeremiah and Ellen Carmody, John and Joseph Enright shared the house. Jeremiah continued to live there until at least 1940, this time with a Bridget Carmody. 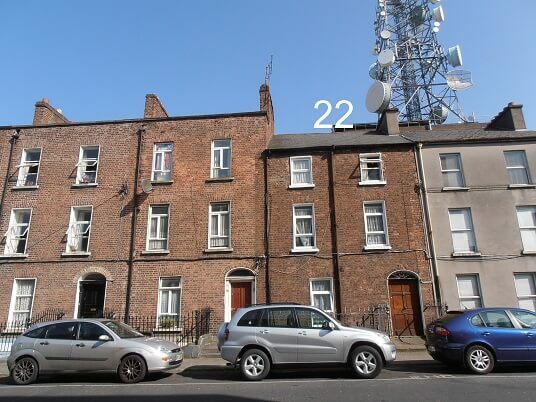 These are only the bare facts covering the history of one house in Limerick over the course of 100 years, even the house next door to this would have had a completely different and varied history of its occupants. If these walls could talk they would speak for days. Thank you for those extra bits of information, agreed they are hardly common names. Pryce Peacock may be a solicitor [born in Co. 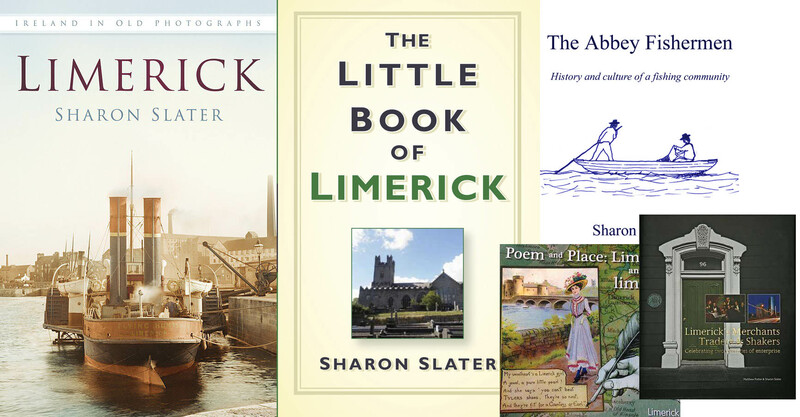 Limerick in 1748) who married Mary Brereton of Stradbally Co. Laois in 1783 …their son also Pryce was born in Limerick and entered TCD in 1812 aged 16. He was ordained a priest in the Church of Ireland becoming Archdeacon of Limerick. No certainty about this but it is hardly a common name [First or Surname!]. Thank you kindly for this information it really brings the house back to life. This is an interesting article as I grew up beside number 22. My Grandparents bought number 21 in the 1920’s and my Mother and her sisters and brother were brought up there. My aunt and her family continued to live next door to 22 until the nineteen nineties. When I was growing up we always refereed to 22 as Shanahan’s and it had a distinctive red hall door. They also had a lovely dog called Roddy. Along with the Shanahan’s membera of the Fiztpatrick family also lived there. The Fiztpatrick were related to the Shanahan’s, but I am not sure of the details. Sadly in the last few years the remainder of my aunts have passed away, otherwise they would be able to provide details about the occupants of 22 from the 1920’s on. Excellent article, most enjoyable. Well done.